RCS & Associates Represents, Bison Gear & Engineering's Line Of AC & DC Industrial Motor Products. Industrial AC & DC Motors - Bison Gear & Engineering Corp.
Bison Gear & Engineering, over 55 years of gearmotors and gear reducers. Since 1960, Bison Gear and Engineering have supplied the industrial and commercial markets with high-tech designs to provide resilient horsepower electric motors, gearboxes and gear reducers manufactured to precision. With over 500 part numbers, specialized custom product designs and proficient engineering capabilities Bison Gear & Engineering is driven by our Robusticity™ design philosophy to electrify companies using the reliability of power transmission industrial applications. Bison Gear products are used in various industries. On this page you will find information for Bison Gear Products with a linked directory to their product by application. Please click any of the product lines and you will be linked to the Bison Gear & Engineering Website Page. We will also include a link list for you on this page. RCS & Associates makes it easy to find exactly what you're looking for. Enjoy, and let one of our Bison Gear & Engineering Reps assist you with any questions by visiting our CONTACT-US Page. We are here to help you find the right solution for your application the first time. Industry specific applications. Bison Gear and Engineering industrial product solution quick links. Parallel Shaft AC motors by Bison Gear & engineering offers their customers with a vast array of torque options, sizes and voltages. 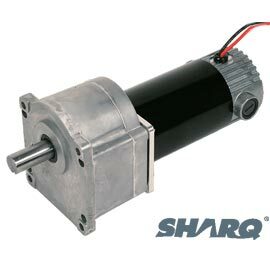 These motors are designed and engineered with industry specific demands, efficiency, and long life. 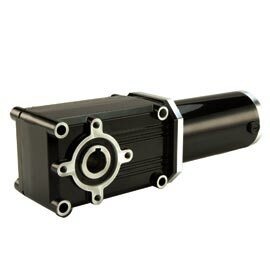 The elegant design of the hypoid gear PMDC/BLDC/DC/AC line of PowerStar gearmotors allows for 13 different gear ratios, multiple mounting options, and are available in 12, 24, 90, 130 and 180 voltage options. Please click the links below for all detailed options and specifications. 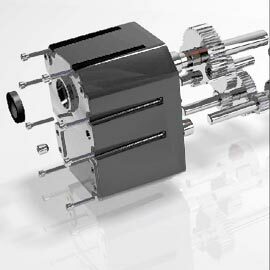 Bison Gear and Engineering offers a full product line of fractional horsepower DC Parallel Shaft Gearmotors. Parallel Shaft DC Motors provide solutions for industrial railroad, machine tool, packaging equipment, farming, medical, and conveying applications. Bison Gear and Engineering doesn't stop there. These motors have many other industrial applications, and Bison will assist their customers' with solutions for their specific applications. Please visit Bison Gear & Engineering on YouTube! Please visit Bison Gear & Engineering on LinkedIn! Please visit Bison Gear & Engineering on Facebook! Please visit Bison Gear & Engineering on Twitter!